Stevie Ray will take on Brazilian Leonardo Santos in his 10th Ultimate Fighting Championship bout. The Scottish Mixed Marshal Arts fighter is on the main card on 1 June in Sweden. 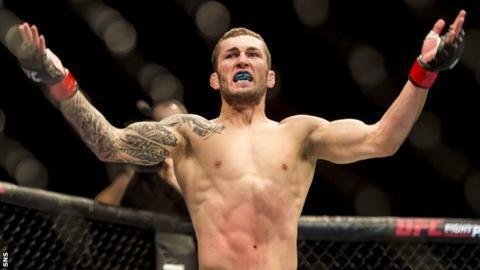 The 29-year old from Kirkcaldy has not appeared in the octagon since October 2018 when he defeated Jessin Ayari by decision. Lightweight contender Ray has won six of his last nine fights. Santos is unbeaten in six. A win in Stockholm against the Brazilian welterweight champion, 39, would push the Scot up the UFC rankings.